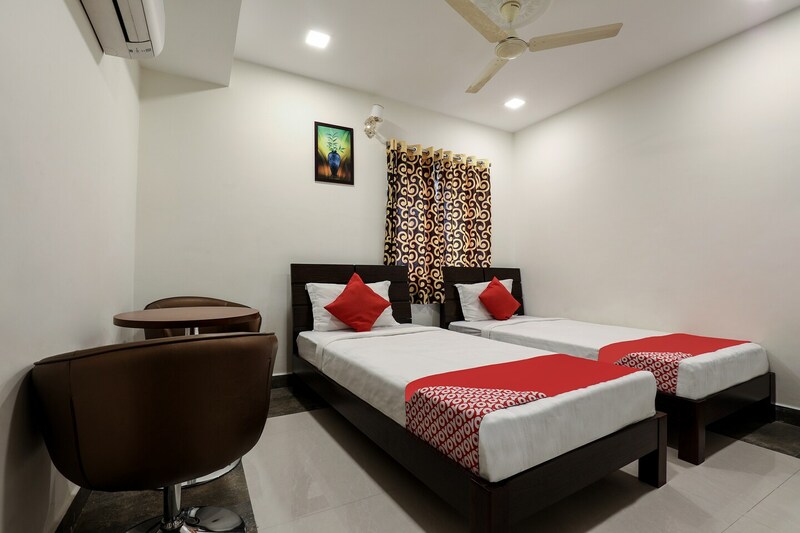 OYO 10595 Hotel Mirras in Hyderabad is an ideal choice of stay for business and leisure travelers, offering fine services at budget rates. Maintained by a skilled and friendly staff, the OYO ensures you have a good stay. Complimentary Veg Breakfast, AC, Geyser and more are equipped in our property. HDFC Bank Branch / ATM, Citibank ATM and Axis Bank ATM close to the hotel ensures you are never short on cash.